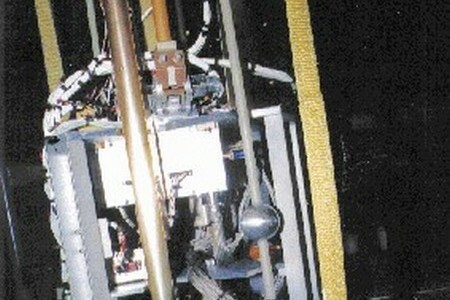 Members of the U of C's Institute for Space Research have completed a novel scientific instrument which launched into space on December 14, 2002. The "Suprathermal Ion and Electron Imager" or SII/SEI measured the density, velocity and temperature of the upper ionosphere above Spitzbergen, Norway. The rocket launch facility on this remote island at 79°N latitude was chosen because in December it is dark twenty-four hours a day, allowing scientists to see the aurora borealis even at noon. The aurora occurs at all times, but is usually not visible during the day except at the highest latitudes and in winter, where the dim auroral light is not obscured by sunlight. The noon-time aurora has a very different appearance than the green curtains characteristic of auroras seen at night. Daytime auroras tend to be red, and are less structured. The different appearance is due to different properties of the electron beams that cause the auroras. Nighttime auroras are typically due to energetic (~10 keV), tenuous electron beams while auroras near noon are the result of beams that are less energetic (<1 keV) but more dense. 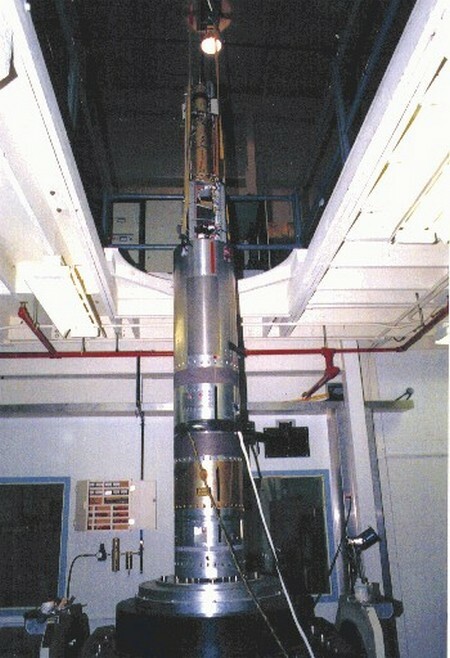 The SII/SEI was one of eight instruments on the "Cusp" sounding rocket experiment led by Dr. Robert Pfaff of the NASA Goddard Space Flight Center. 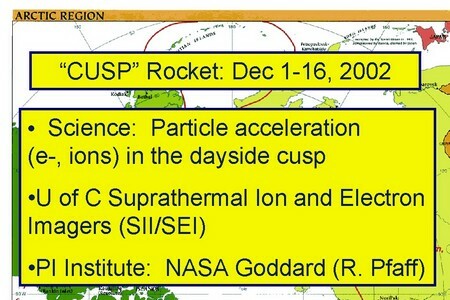 The name Cusp comes from the region of the magnetosphere through which the rocket flew, attaining an altitude of 765 km in its 15-minute, sub-orbital flight. 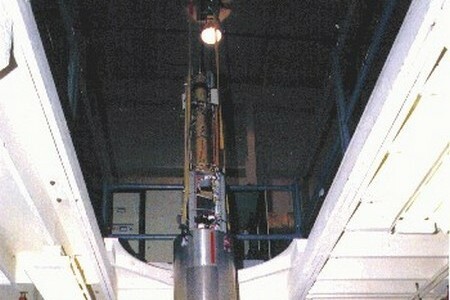 The rocket itself was a Black Brant X (Mod 1). 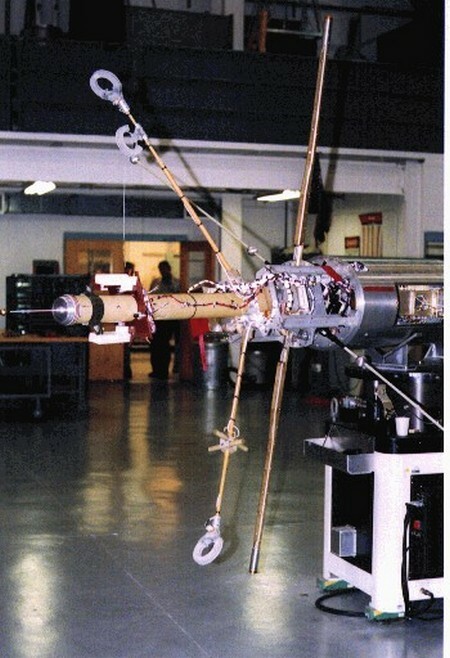 The SII/SEI was designed, built and tested in the Institute for Space Research by a technical team of seven (Peter King, Kaare Berg, Greg Enno, Armando Hernandez, Cliff Marcellus, Ivan Wevers, and Robert Thomson) under the direction of David Knudsen. Funding for the SII/SEI was from the Canadian Space Agency. 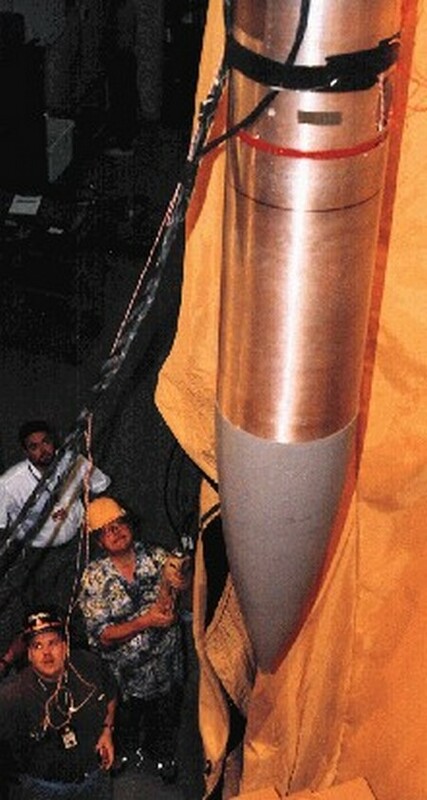 This was the second flight of the SII/SEI, the first being on the Calgary-led GEODESIC sounding rocket mission launched from Alaska in February, 2000. As Reported by SvalRak Launch Tram onsite. November 22, 2002 Welcome to the first update in the NASA 35.033 campaign conducted from SvalRak (Ny-Ålesund), Svalbard at almost 80 degrees north. Andøya Rocket Range staff started the campaign preparations in Ny-Ålesund in the beginning of November. The first part of the NASA project team arrived earlier this week. More US campaign participants will arrive during the coming days. Both motors and payload are in the process of being assembled. The weather today is + 2 degrees Centigrade and showers of mixed rain and snow. November 26, 2002 The campaign is on time schedule. Almost all campaign participants has now arrived, also the Principal Investigator (PI) Dr. Robert F. Pfaff Jr. from NASA/Goddard Space Flight center. The two first rocket motors is ready for staging on the launcher. The payload is still in the process of being assembled. The weather today is -10 degrees Centigrade and calm winds. 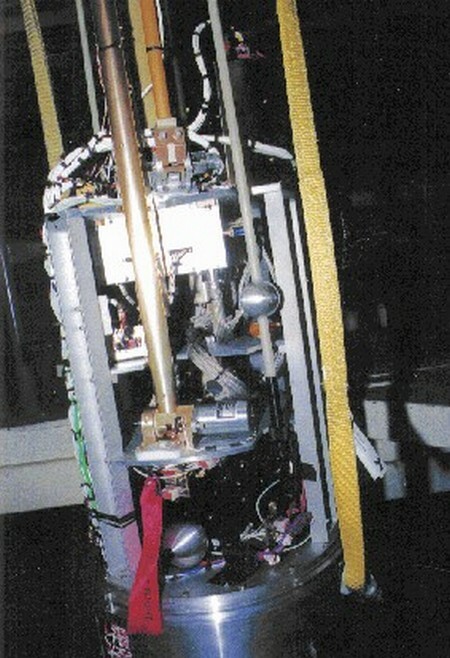 November 28, 2002 The last couple of days the NASA engineers has conducted payload sequence tests to ensure that all instruments are functioning prior to final assembly at the launcher. Hopefully, the payload will be transported to the Motor Assembly Building for final assembly on Friday, November 29. The weather has been varying the last two days from -9 to 0 degrees Centigrade and winds from 2 to 10 meter per second, and sporadic snow showers. 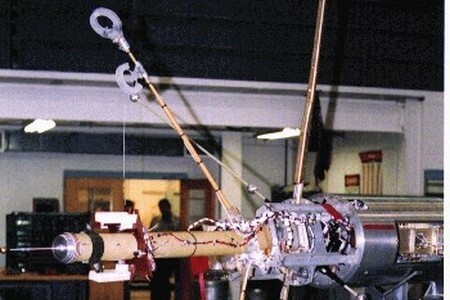 December 1, 2002 The payload was assembled and tested on Friday, before it was transported to the motor assembly building. 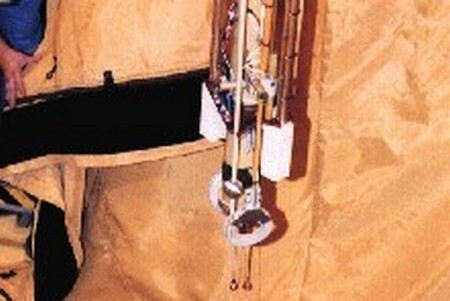 On Saturday the payload was attached to the third stage rocket motor and thereafter mounted on the launch rail. In the afternoon the inhabitants of Ny-Ålesund was invited to the Launch Pad to see the complete rocket configuration on the rail. As a special gesture for the US participants, Kings Bay had arranged a thanksgiving dinner serving turkey. Final pad preparations started Sunday morning, and was completed prior to start of the practice countdown. The practice countdown was successfully conducted in the afternoon. A hot countdown is scheduled for Monday at 04:00 UT. 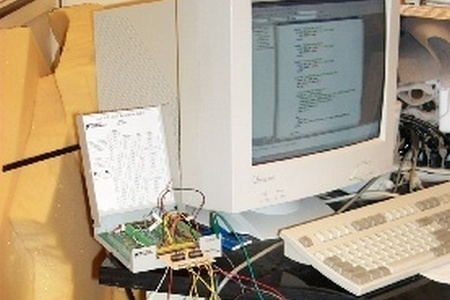 December 3, 2002 The first countdown started Monday morning on time schedule. Project Scientist reported interesting scientific conditions. Unfortunately the weather conditions regarding both cloud coverage and winds along with decreasing scientific conditions led to a cancellation. Tuesdays countdown was not too promising, with snow showers and strong ground winds. The situation stayed like this throughout the window. The countdown was never closer than T-50 minutes. December 4, 2002 Todays countdown never got exciting. The Project Scientist reported some scientific conditions. In addition there was southerly winds bringing in rain showers and clouds over Svalbard. December 6, 2002 The countdown on Thursday started the same way as the previous countdown. Southernly winds brought rain showers and clouds. Project Scientist reported interesting scientific conditions, but due to the windy situation the operation was cancelled. Todays countdown started with unstable southerly groundwinds up to 14 m/s. Project Scientist reported interesting scientific conditions today as well, however, the unstable windy situation lasted throughout the launch window. This, together with increased cloud coverage and thus difficult to monitor the auroral activity, led to a cancellation. December 9, 2002 The countdown on Saturday and Sunday was cancelled due to strong southerly winds and rain showers. On Monday morning the countdown was promising with good launching conditions seen from an operational point of view. The PI reported some auroral activity. However, this was north of Svalbard instead of south which is the launching direction. Therefore the operation was cancelled. 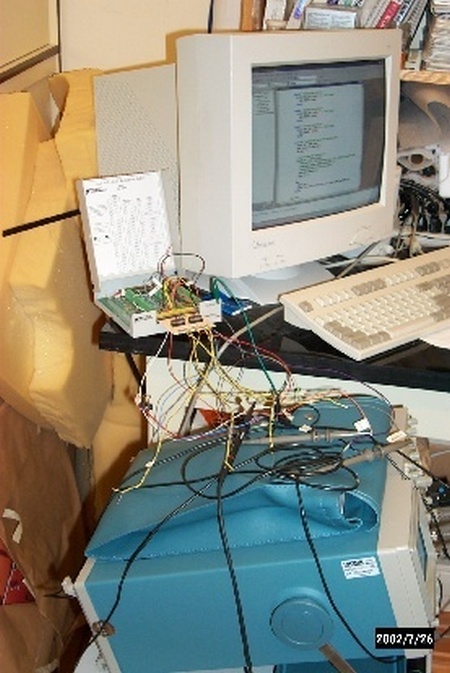 December 10, 2002 Tuesday was also a good day for launching seen from an operational point of view. The PI reported some auroral activity, but like yesterday this was north of Svalbard instead of south in the launching direction. December 11, 2002 Todays countdown started with high ground winds. However, the winds calmed down during the first three hours and the launch conditions was perfect from an operational point of view. The science conditions stayed quiet during most of the window except for an event during the last hour. The countdown was down to Hold at T minus three minutes, but the science event did not became as interesting as first anticipated. December 13, 2002 The countdown on Thursday was not so different from the last three days. From an operational point of view it was good launching conditions. However, the science conditions stayed quiet during the window and therefor, no launch could take place. Fridays countdown started with low surface winds and unfortunately high winds at higher altitudes. The situation was continuous monitored throughout the window, but it stayed unchanged. In addition The Project Scientist reported low activity in the solar wind which resulted in a NO GO situation from a science point of view. The operation was cancelled at 10:30 UT. Next countdown starts on Saturday morning. December 14, 2002 The countdown on Saturday started with very strong ground wind, snowshowers and poor science conditions. However, both weather and science conditions improved during the launch window. 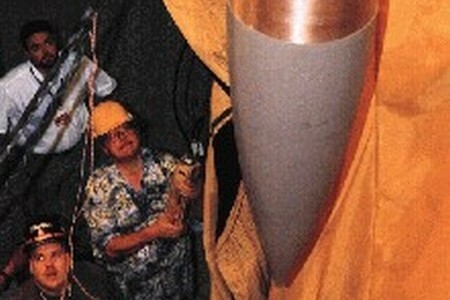 The science conditions was further improved late in the launch window and it was therefor decided to extend the launch window. The countdown was in HOLD at T-6 minutes until 10:44 UT. 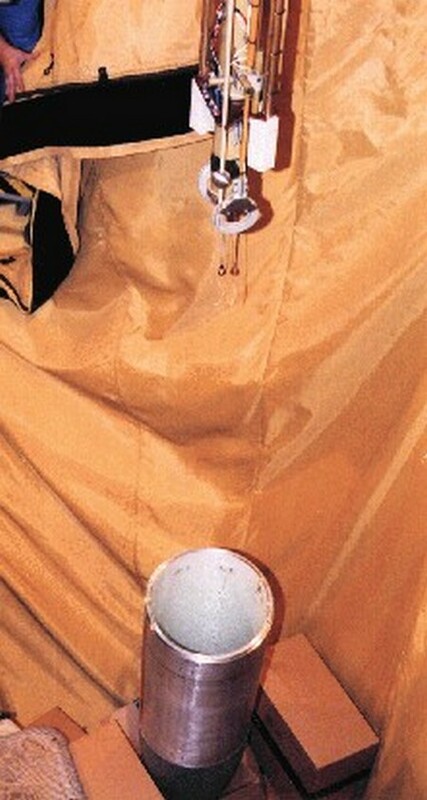 At this time it was decided to continue the countdown down to T-3 minutes and wait for science until the right moment to continue the countdown down to launch. The rocket was successfully launched at 11:16:48 UT and landed in the Norwegian Ocean 16 minutes after launch. The campaign is now completed. Remaining work are packing and make ready for return shipment of equipment. This is the last update for this campaign. 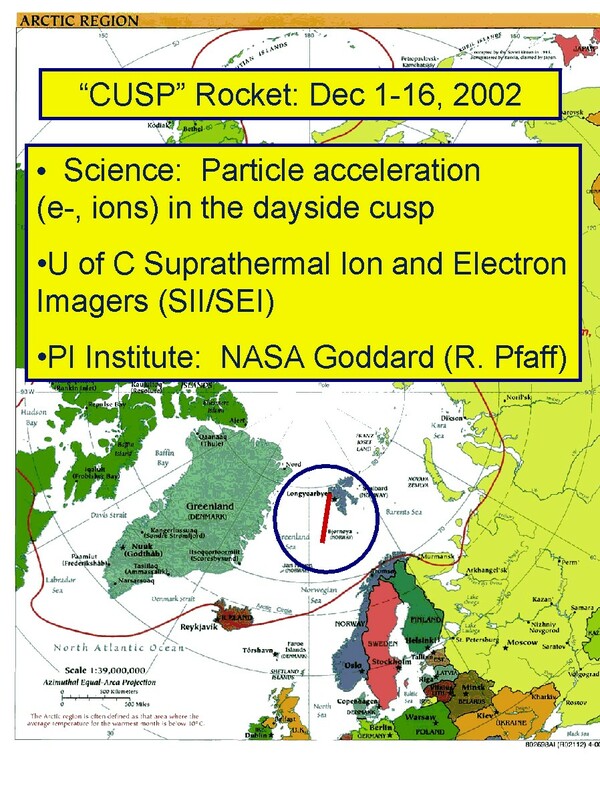 Burchill, J. K., D. J. Knudsen, J. H. Clemmons, K. Oksavik, R. F. Pfaff, C. T. Steigies, A. W. Yau, and T. K. Yeoman (2010), Thermal ion upflow in the cusp ionosphere and its dependence on soft electron energy flux, J. Geophys. Res., 115, A05206, doi:10.1029/2009JA015006.